Media Size: 2" x 8"
3" x 6" 6" x 6" 8.5" x 11" 11" x 17"
DIY .Sign Kit for Doors and Walls! 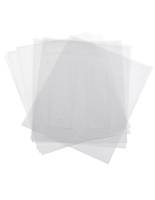 Includes Pre-Scored Frosted or Clear Film Sheets for Printing. 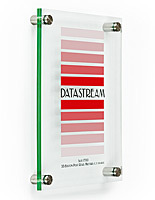 Features Stainless Steel Stand-Offs and Clear Acrylic Sign Panels with Green-Edges. Templates for Word, Illustrator, or Photoshop are Available for Download. This door sign includes film for creating and printing custom messages for the unit. The six pack of film features three clear and three frosted pieces. Users can download their own templates for inserting logos and other information. 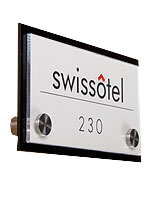 This door sign is great for name plates and other plaques. After printing, users must remove the oval shape from the film. This door sign sandwiches the message between the two green-edged acrylic pieces. The two included standoffs allow users to mount the panel to the wall easily. 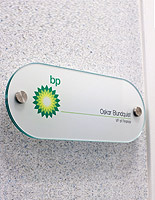 This door sign gives name plates and office signs a look that will boost the overall aesthetics. Implement one and see the difference! 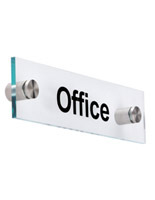 This door sign compliments all sorts of businesses and office settings! 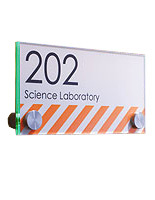 The office signs let users present everything necessary for keeping visitors in the loop. 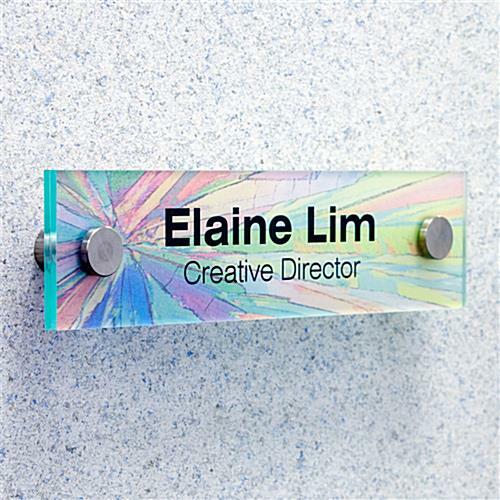 This door sign, also called custom interior signage, offers a decorative manner for customizing interior signage by adding some color to drab offices. Users do not need to go to a printing press when using the display! This door sign allows people to change the content in a matter of moments. 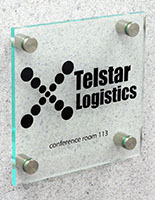 The office signage comes in a size that is big enough to get noticed, but does not require too much space. Please Note: The film can only be printed with laser printers, not inkjet printers.